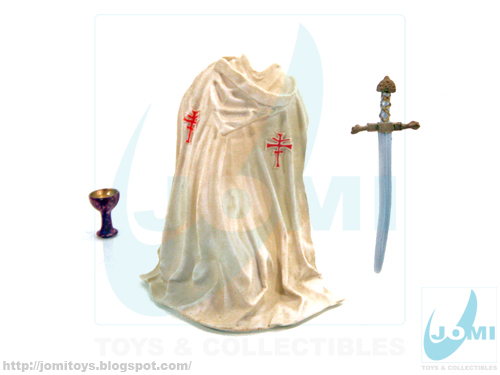 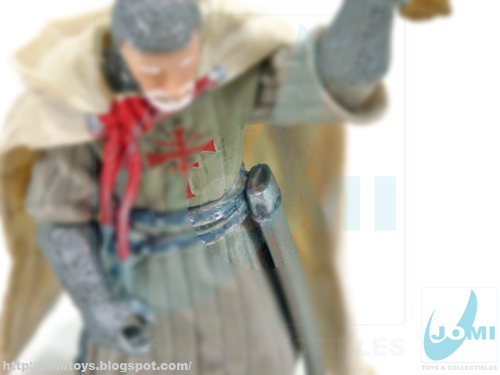 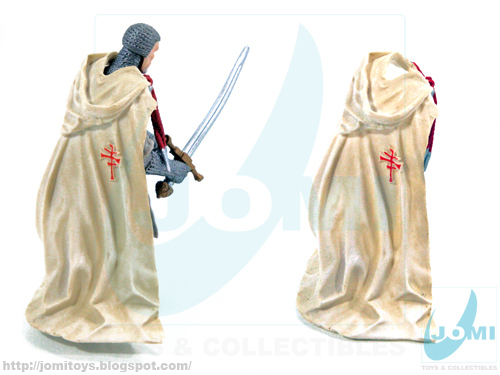 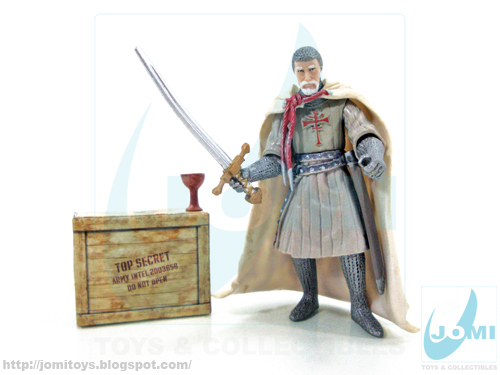 One of the TOP10 figures from this line, this Knight Templar protected the Holy Grail in the movie The Last Crusade. "This Knight spent seven hundred years in a remote chamber in the deserts of Alexandretta, achieving immortality by drinking from the Grail, which he had sworn to protect. 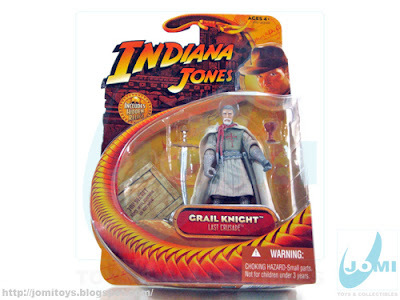 Once discovered by Indiana Jones, the Knight stands aside as Indy and his two rivals attempt to choose the true Grail from a table of deadly imitations." 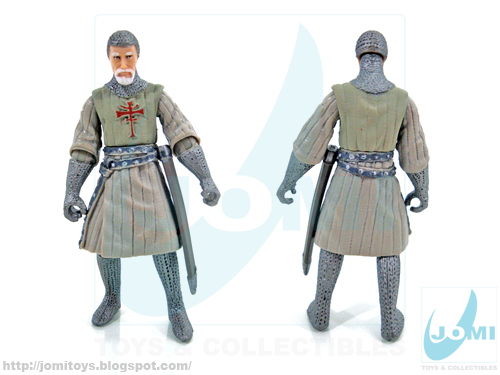 Figure: "Grail Knight". A nice looking figure, but as most of the line´s examples, a nightmare to stand. They seem to be sculpted in a pre-defined position and anything else we try comes out wrong... and falling. 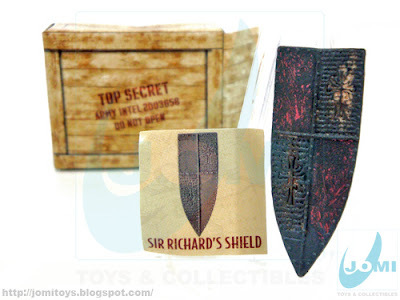 Hidden Relic: Sir Richard´s Shield. 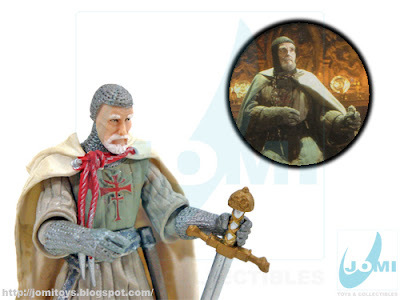 On a positive note, we can manage to replicate (almost) the image from the movie. 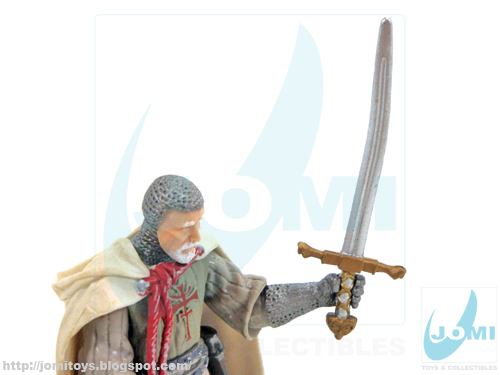 While the Knight´s head is a work of art, the sword looks like a Scimitar. Not cool.